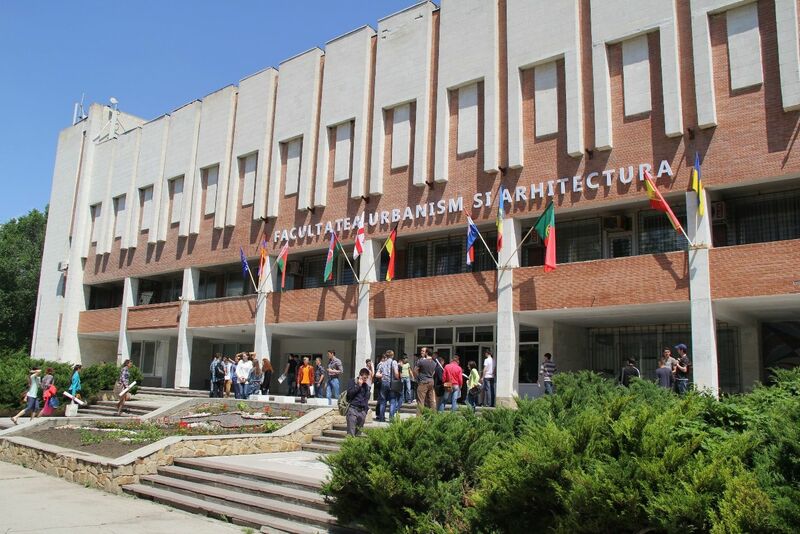 The Faculty of Architecture and Urban Planning was established in 1959 as a part the Faculty of Engineering and Technology of the State University of Moldova and afterwards it became the Faculty of Civil Engineering within the Polytechnic Institute. The Faculty has had an activity of 44 years within the Technical University of Moldova. 1968 – the first promotion of engineering technologists with the specialization „Materials and components” (currently speciality „Materials and Construction Elements Engineering”). 1970 – the first promotion of architects and engineers with specialization in Urban Engineering (currently speciality Urban Planning and Landscape Design). 1972 – the establishment of the Faculty of Architecture and Urban Planning, based on the specialities Architecture, Urban Engineering, Materials and Construction Components, Highways, Water Supply and Sewerage. 1974 – the establishment of two more departments: Architectonic Construction and Drawing, Painting and Sculpture. 1975 – the first promotion of engineers with the specialization Highways (currently the speciality of Railways, Roads and Bridges). 1976 – the first promotion of engineers with specialization Water Supply and Sewerage (currently the speciality of Engineering and Protection of Water). 1980 – foundation of the Department of Basics of Architecture, with the function of initial training of architects. 1981 – the first promotion of engineers with the specialization Heat and Gas Supplies, Ventilation (currently the speciality Engineering of Heating and Gas Supply Systems, Ventilation). 1987 – 1997 the Department of Descriptive Geometry and Drawing operated within the faculty, which currently is affiliated to another one. 1996 – the first promotion of engineers specializing in the construction of machinery and mechanisms (currently speciality Mechanical Engineering Construction). 2000 – first promotion of engineers and engineering managers specializing in Engineering and Environmental Management (currently speciality Environmental Engineering). The department of Water Supply and Sewerage was renamed into Ecotechnics, Ecology Management and Water Engineering “UNESCO / Cousteau”. 2001 – the first promotion of engineers with specialization Technology of Pottery and Glass. 2006 – the establishment of the Interior Design Department. 2015 – The University Senate approved a decision on reforming the structure of the Faculty. There were established three departments: Architecture, Roads, Construction Materials and Machineries, Heat, Water and Gas Supply, Environment Protection. 2016 – at the initiative of the heads of programs of Interior Design and Urban Planning, the Department of Architecture was divided into the departments of: 1. Architecture; 2.Urban Planning and Urban Design. Since 1964 up to now the Faculty has trained over 10 thousand specialists, including 8344(full time education), 2520 (part-time education and evening-class courses). The departments of the faculty are equipped with laboratories and workshops with modern teaching and research stands, installations, models. Three computer rooms, projecting rooms, modelling rooms, drawing and painting rooms. There are 102 members of the teaching staff, including 34 associate professors, PhDs., Five Hab. PhD., professors. The Department of Heat, Water and Gas Supply and Emvironmental Protection signed a collaboration agreement with the Association of ENERGY SAVING INTERNATIONAL AS (ENSI) from Norway, which provides scientific-pedagogical and scientific cooperation in the field of energy audit of civil buildings. The Department of Architecture signed a contract of cooperation in scientific-technical domain (“Видеомоделирование в учебном архитектурном проектировании”, 2004) with the Institute of Architecture from Moscow (Russia). The Department of Architecture – Fondazione Romualdo del Bianco of Contract, Florence (Italy). The Department of Roads, Construction Equipment and Machines – with the Research Institute for Construction Equipment and Technologies from Bucharest, Romania. The teaching staff and students of the faculty participate at national and international exhibitions and symposiums. Forecast of gas consumption in the socio-communal sector (2005). Improved processes of potable surface water and groundwater 2008 – 2010. Within the project, a pilot water treatment plant for treating groundwater, was installed and mounted in the town of Nisporeni. Institutional project 121 b/s „Development of anaerobic-aerobic technology for biological treatment of wastewater to obtain and use biogas in reducing energy economy” 2010 – 2014. Project nr. 329 b/s (cod: 06.408.061A): „Installations for removal of nitrogen and phosphorus compounds for advanced wastewater treatment of wastewater localities”. (2006-2010). Reform of education through international knowledge exchange RETHINKe. (The education reform through international exchange of knowledge) TEMPUS 544178-2013-PT-JPCR, with the participation of 18 universities from 10 countries. Water Harmony – II (Harmony water-II). Eurasia Programme CPEALA-2015/10036 Water Harmony – Integration of Education, Research, Innovation and Entrepreneurship, with the participation of 10 universities from 7 countries. The students participate in various exchange study programs. They have the opportunity to study for six or ten months at universities in Europe or the United States of America. During the year students participate at conferences, seminars, international summer schools from Romania, Ukraine, Hungary, Poland, Spain, Norway, China etc. Students from the cycles II and III (Masters Degree and PhD candidates) are able to achieve double diploma at universities from Spain or Portugal in the project RETHINK. The faculty graduates are employed in different companies and businesses in the Republic of Moldova and abroad. 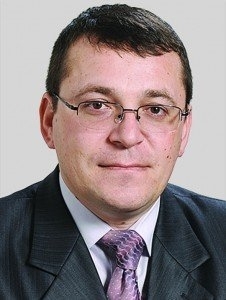 The Faculty has signed cooperation agreements with enterprises of the Ministry of Regional Development and Construction and the Ministry of Transport and Road Infrastructure Agency Moldova’s Waters, AO Moldovagaz, Apa-Canal AO, AO Lafarge Ciment Moldova etc.